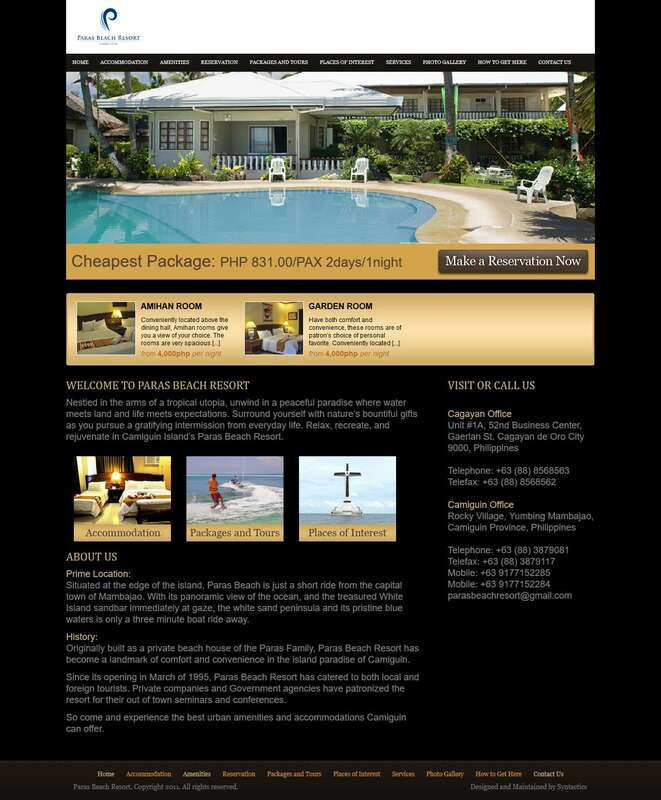 Paras Beach Resort - Syntactics Inc.
Nestled in the arms of a tropical utopia, unwind in a peaceful paradise where water meets land and life meets expectations. Surround yourself with nature’s bountiful gifts as you pursue a gratifying intermission from everyday life. Relax, recreate, and rejuvenate in Camiguin Island’s Paras Beach Resort.